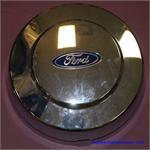 2191f-1 CENTER CAP FRONT USED, 03-10, DODGE, PICKUP, 3500, SPARKLE SILVER WITH RAISED RAMS HEAD, 8 PLASTIC CLIPS, 9" DIA, FRONT ONLY. 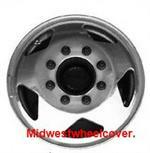 FOR A USED 17"
3108, Hubcap used, 16", 76-92, CHEVY, VAN, SUBURBAN, PICKUP, 10, 20, 2500, 30, 3500, 1500, 54 SLOT TYPE, FRONT ONLY. 3111, Hubcap used, 16", 76-92, GMC, 1500, 2500, 3500, VAN, SUBURBAN, PICKUP, 54 SLOT TYPE, FRONT ONLY. 3141, FRONT CENTER CAP USED, 16", 94-97, FORD, F350, DRW, FRONT ONLY, CHROME PLASTIC CAP, RAISED CENTER, BLUE FORD LOGO, 4 PLASTIC CLIPS, WIRE RING, 8-1/2" DIA. 3185, Hubcaps used, 16", 89-91, CHEVY, GMC, 3500 PICKUP 4X4, SUBURBAN 1500 4X4, SUBURBAN 2500 4X4. CHROME OUTER RING, BLACK RING & MACHINED CENTER, 10 HOLE TYPE, OPEN CENTER, FRONT. 3618, Used Rims, 17X6-1/2, 8 LUG, 200 MM, 05-13, FORD, F350SD, PICKUP, DRW, 5 OVAL OPENINGS, FORGED POLISHED ALLOY, FRONT ONLY. 3982, HUBCAP USED, 16-1/2", 73-74, CHEVY, VAN DRW, 30 PICKUP DRW, FRONT. 3984, HUBCAP USED, 16-1/2", 73-74, GMC, 3500 PICKUP DRW, VAN DRW, 6 SLOT TYPE, GMC LOGO, FRONT. 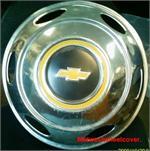 3988, HUBCAP USED, 16", 73-75, CHEVY, C30, PICKUP, VAN, DRW, 6 SLOT TYPE, FRONTS. 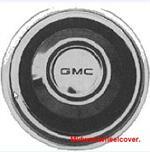 3990, Hubcap, 16", 73-75, GMC, VAN, 3500 PICKUP (DRW), 3500 PICKUP, 6 SLOT TYPE, GMC LOGO, FRONT. 5007a-r, USED RIM, 17X9-1/2, 5 LUG, 4-3/4", 91-92, CHEVY, CORVETTE, RIGHT FRONT, BRUSHED ALUM, 8 CUT OUTS, C CONDITION B= POLISHED. 60162, CENTER CAP OPEN USED, 91-98, CHEVY, GEO, TRACKER, SUNRUNNER. OPEN FRONT ONLY, BLACK PLASTIC CAP, 4-1/4" X2-1/4" DIA. FOR A 15", RIM, ALSO FITS 60160. 72661, . 69344a-2, FRONT CENTER CAP USED, 95-00 Toyota, Tacoma, BLACK STEEL, 6 SET OF METAL CLIPS, 4-1/2"X2-3/4" DIA. FOR A 15", 6 HOLE. 4X4. RIM.